The village of Loibor Siret is a community in the heart of the semi-arid grasslands and acacia woodlands of the Maasai Steppe. It is in this rural village—a three-hour drive from Arusha, the nearest city—where Christy Ihlo has found a new role supporting environmental conservation and sustainable livelihoods among Northern Tanzania’s rural communities and wildlife. 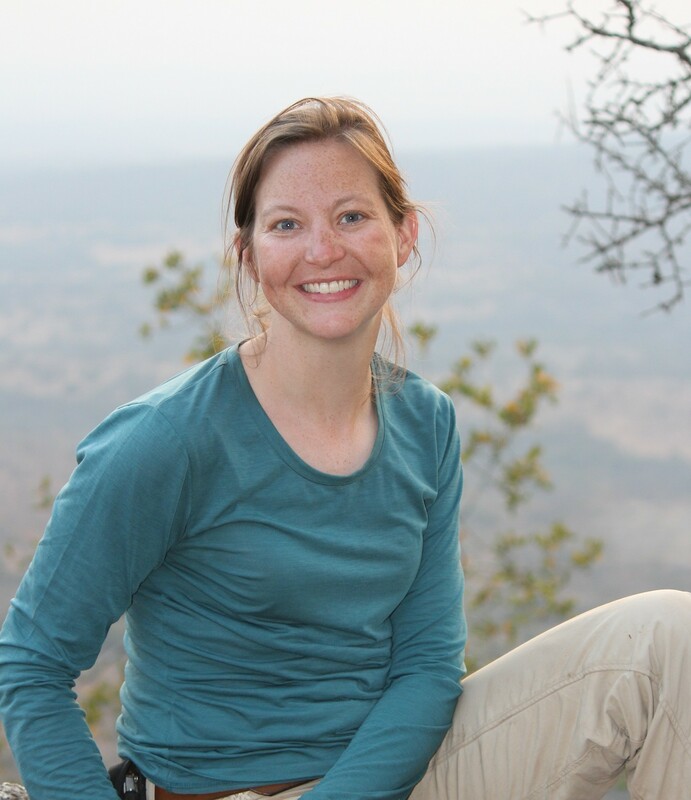 For nearly a year, Christy has served as the Director of Monitoring and Evaluation at the African People & Wildlife Fund (APW). Her work helps to assess the effectiveness of APW’s programs, which are designed to achieve balance between environmental conservation and sustainable livelihoods. In this role, she is using skills that she honed as a policy associate at the Nicholas Institute for Environmental Policy Solutions. By working and living at APW’s Noloholo Environmental Center, Ihlo exemplifies APW’s philosophy—known as place-based conservation—integrating into local communities and building respectful relationships with them is the best way to achieve conservation success. Since joining APW in November 2015, she has been developing monitoring programs for several programs, including the Women’s Entrepreneurship and Empowerment Initiative. This program works to give women the knowledge and materials necessary to become successful entrepreneurs, culminating in the provision of grants to support environmentally-friendly businesses such as beekeeping. To “repay” those grants, APW requires the women’s groups—mostly beekeepers—to organize environmental projects in their communities, such as picking up trash or planting trees. Occasionally Ihlo’s work leads her into the field, where she recently helped install beehives for several of the women’s groups. After a year, the hives will yield their first harvest of honey, providing sustainable income to the women. Ihlo credits time spent on projects at the Nicholas Institute, such as producing the Federal Resource Management and Ecosystem Services Guidebook and conducting data analysis to assess management decisions of conservation organizations, with providing her the skills she needs to handle her current responsibilities—even without prior formal experience in monitoring and evaluation. Ihlo says the most rewarding part of her current position is working alongside the people she is striving to help.